Home > Latter-day Saint Blog Posts > Why Should Latter-day Saints Beware Fraudulent Artifacts? 1. See Mark Alan Wright, “Joseph Smith and Native American Artifacts,” in Approaching Antiquity: Joseph and the Ancient World, edited by Lincoln H. Blumell, Matthew J. Grey, and Andrew H. Hedges (Salt Lake City and Provo, UT: Deseret Book and Religious Studies Center, Brigham Young University, 2015), 119–140. 2. Brian M. Hauglid, “‘Come & Help Build the Temple & City’: Parley P. and Orson Pratt’s May 1843 Letter to John Van Cott,” Mormon Historical Studies 12, no. 7 (Spring 2011): 155. 4. 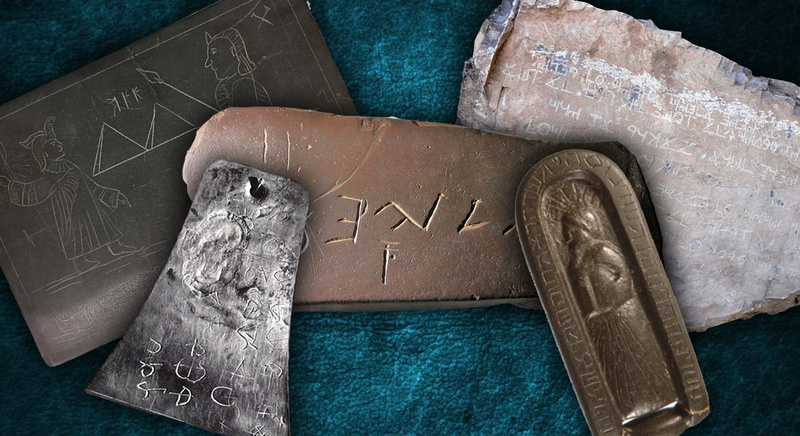 For a summary of the event and the historical sources, see Book of Mormon Central, “What Do the Kinderhook Plates Reveal About Joseph Smith’s Gift of Translation?” KnoWhy 454 (July 31, 2018). 5. See for instance B. H. Roberts, New Witnesses for God, 3 vols. (Salt Lake City, UT: Deseret News, 1909), 3:58–64. 6. Wilbur Fugate to James T. Cobb, June 30, 1879, in Wilhelm Wyl (Wymetal), Mormon Portraits (Salt Lake City, UT, 1888), 207–208. 7. 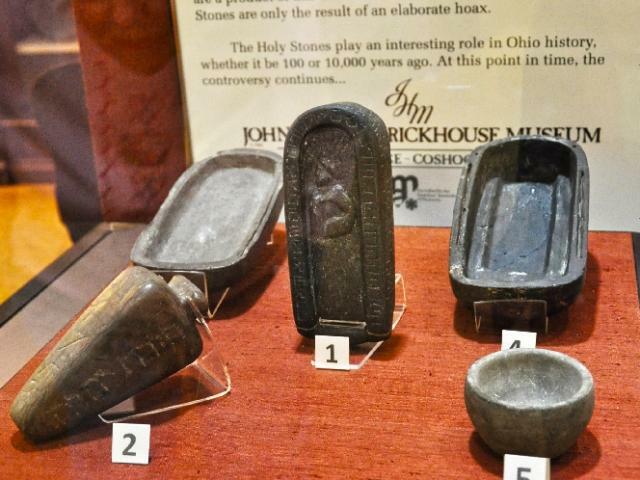 Stanley B. Kimball, “Kinderhook Plates Brought to Joseph Smith Appear to Be a Nineteenth Century Hoax,” Ensign, August 1981, online at lds.org. 8. Mark Ashurst-McGee, “Mormonism’s Encounter with the Michigan Relics,” BYU Studies 40, no. 3 (2001): 175. 9. Ashurst-McGee, “Mormonism’s Encounter with the Michigan Relics,” 175. 10. Ashurst-McGee, “Mormonism’s Encounter with the Michigan Relics,” 182–191, quote at 190. 11. Richard B. Stamps, “Tools Leave Marks: Material Analysis of the Scotford-Soper-Savage Michigan Relics,” BYU Studies 40, no. 3 (2001): 211–238; Kenneth Feder, Frauds, Myths, and Mysteries: Science and Pseudoscience in Archaeology, 8th ed. (New York, NY: McGraw-Hill, 2014), 170–171. 12. An overview and history of the artifacts can be found in Robert W. Alrutz, “The Newark Holy Stones: The History of An Archaeological Tragedy,” Journal of the Scientific Laboratories of Denison University 57 (1980): 1–57. 13. Alrutz, “The Newark Holy Stones,” 14–17, 39–47. 14. See the authorities cited in Bradley T. Lepper, “Newark’s ‘Holy Stones’: the Resurrection of a Controversy,” in Newark “Holy Stones”: Context for Controversy, Public Symposium, Johnson-Humrickhouse Museum, Coshocton, Ohio, Saturday, November 6, 1999, ed. Patti Malenke (Coshocton, OH: Johnson-Humrickhouse Museum, 1999), 16. 15. J. Huston McCulloch, “An Annotated Transcription of the Ohio Decalogue Stone,” The Epigraphic Society Occasional Papers 21 (1992): 56–71; David Allen Deal, “The Ohio Decalog [sic]: A Case of Fraudulent Archaeology,” Ancient American 2, no. 11 (May/June 1996): 10–19. 16. Stephen Williams, Fantastic Archaeology: The Wild Side of North American Prehistory (Philadelphia, PA: University of Pennsylvania Press, 1991), 167–176; Bradley T. Lepper, “The Newark ‘Holy Stones’: The Social Context of an Enduring Scientific Forgery,” online; Bradley T. Lepper et al, “Civilization Lost and Found: Fabricating History,” Skeptical Inquirer, November/December 2011, 50–52. 18. James D. Tabor, “An Ancient Hebrew Inscription in New Mexico: Fact or Fraud?” United Israel Bulletin 59 (Summer 1997): 1–3, online. 20. Ferenc M. Szasz, “Pre-Columbian Contacts in the American Southwest: Theories and Evidence,” New Mexico Humanities Review 5, no. 1 (1982): 53. 21. Cyrus Gordon, “Diffusion of Near East Culture in Antiquity and in Byzantine Times,” Orient 30–31 (1995): 69–70. 22. Welby W. Ricks, “A Purported Phoenician Inscription in New Mexico,” in Papers of the Fifteenth Annual Symposium on the Archaeology of the Scriptures, ed. Ross T. Christensen (Provo, UT: Brigham Young University, 1964), 94–100; Hugh Nibley, The Prophetic Book of Mormon, The Collected Works of Hugh Nibley: Volume 8 (Salt Lake City and Provo, UT: Deseret Book and FARMS, 1989), 63. 23. 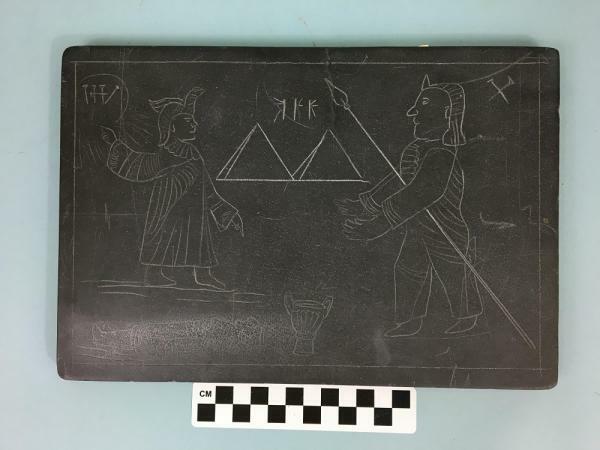 Keith Fitzpatrick-Matthews, “The Los Lunas Inscription,” online; Feder, Frauds, Myths, and Mysteries, 139–140. 26. Robert C. Mainfort, Jr. and Mary L. Kwas, “The Bat Creek Stone: Judeans in Tennessee?” Tennessee Anthropologist 16 (Spring 1991): 3. 27. Cyrus H. Thomas, “Bat Creek Mounds,” in Twelfth Annual Report of the Bureau of American Ethnology to the Secretary of the Smithsonian Institution 1890–91, ed. J. W. Powell (Washington, DC: Government Printing Office, 1894), 393. 28. Cyrus Gordon, “The Bat Creek Inscription,” in Book of the Descendants of Doctor Benjamin Lee and Dorothy Gordon (Ventor, NJ: Ventor Publishers, 1972), 5–18; “New Directions in the Study of Ancient Middle Eastern Cultures,” Bulletin of the Middle Eastern Cultural Center in Japan 5 (1991): 62–63; “A Hebrew Inscription Authenticated,” in By Study and Also By Faith: Essays in Honor of Hugh W. Nibley on the Occasion of His Eightieth Birthday, 27 March 1990, ed. John M. Lundquist and Stephen D. Ricks (Salt Lake City and Provo, UT: Deseret Book and FARMS, 1990), 67–80. 29. See further Barbara Ford, “Semites First in America?” Biblical Archaeologist 41, no. 3 (September 1978): 43–53; J. Huston McCulloch, “Did Judeans Escape to Tennessee?” Biblical Archaeology Review, July/August 1993, 47–53. 30. Mainfort and Kwas, “The Bat Creek Stone: Judeans in Tennessee?” 1–19; “The Bat Creek Fraud: A Final Statement,” Tennessee Anthropologist 18 (Fall 1993): 87–93; “The Bat Creek Stone Revisited: A Fraud Exposed,” American Antiquity 64 (Oct. 2004): 761–769. 31. P. Kyle McCarter, Jr., “Let’s be Serious About the Bat Creek Stone,” Biblical Archaeology Review 19, July/August 1993, 54–55, 82–83. 32. J. Huston McCulloch, “The Bat Creek Stone Revisited: A Reply to Mainfort and Kwas in American Antiquity,” online. 33. E-mail dated Feb. 7, 2014 from Jake Homiak, Director, Anthropology Collections & Archives Program, Smithsonian Museum Support Center, Suitland MD, to Barbara Duncan, Education Director, Museum of the Cherokee Indian, Cherokee NC, cited in “Bat Creek inscription,” online. 34. The latter seems to be the motive behind the forging of the Newark Holy Stones. See Lepper, “Newark’s ‘Holy Stones’,” 14–15. 35. A point raised and illustrated with a tragic real-world example in J. Michael Hunter, “The Kinderhook Plates, the Tucson Artifacts, and Mormon Archaeological Zeal,” Journal of Mormon History 31, no. 1 (Spring 2005): 65–70. 36. Hunter, “The Kinderhook Plates, the Tucson Artifacts, and Mormon Archaeological Zeal,” 63–65. 37. M. Russell Ballard, “By Study and By Faith,” Ensign, December 2016, 27. Book of Mormon Central : Why Should Latter-day Saints Beware Fraudulent Artifacts?